Imagination is a powerful tool. Kids have this in abundance and it is something that should be fostered. Imaginative capabilities are directly linked to creativity, innovation and critical thinking skills. Allowing kids to exercise their imagination helps them develop key skills that help them understand complex concepts as they get older. It also helps them imagine hypothetical scenarios, whether they are imagining their own future or trying to solve a word problem at school. One of the best ways to let kids’ imagination flourish is to let them play pretend. There are limitless possibilities when it comes to playing pretend, but some games of make-believe stand the test of time. 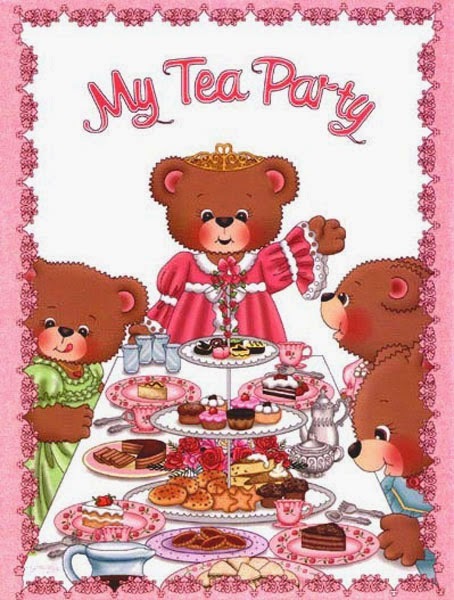 Tea parties have been and are still incredibly popular among young girls, and with good reason – tea parties are lots of fun! at they need to have their own tea party with their friends! They can learn how to brew tea, how to make watercress sandwiches and they’ll even learn some traditional table manners that will make their imaginative tea party feel all the more real. One of the key parts of tea parties is the dressing up! And when little girls dress up, what do they love to dress up as? Princesses, of course! 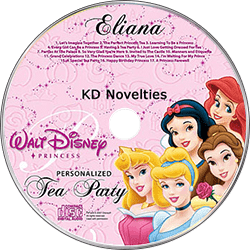 KD Novelties also has a personalized Disney Princess CD that will be perfect for the tea party preparation. Your child’s favorite Disney princesses will sing to them using their name, guide them through the process of getting dressed up, teach them proper manners all while preparing their very own tea party at the castle with all of their favorite princesses! 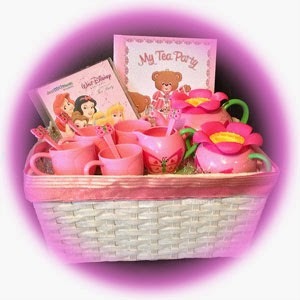 The Disney Princess Tea Party Gift Basket makes a great birthday present for any little lady. This basket includes the My Tea Party personalized book, Disney Princesses personalized music CD, as well as their very own tea set! Your little girl will be able to have a personalized tea party adventure that she will never forget. Home School? Personalize Your Child’s Experience.